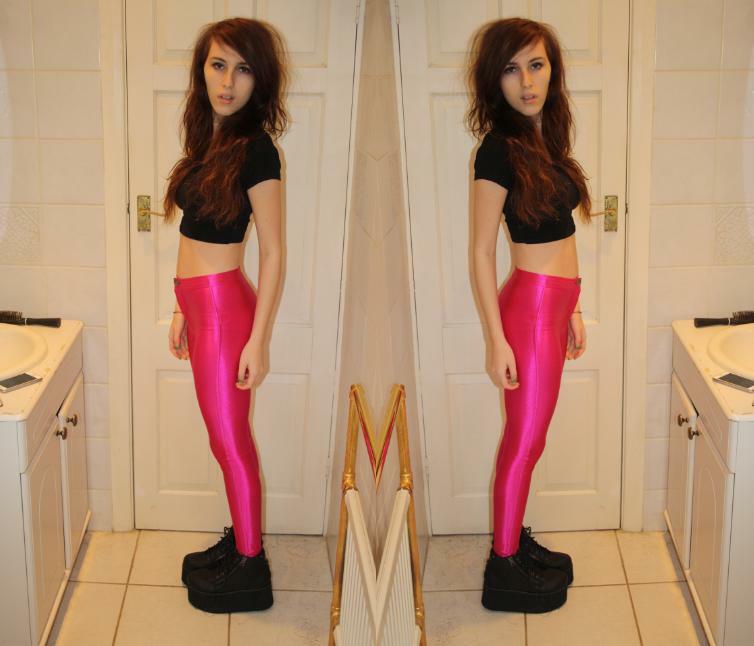 It has been my recent mission to get a pair of pink disco pants, well I can tick that off of my list now!! I ended up finding these on New Look . They only cost £22 but a word of wisdom, be careful when ordering anything online! When I was ordering these, I used £7 from an old gift card, the money came off of the card but not off of my recipt, well thats what I though! I had an email that said I'd paid £45, (I ordered some other stuff) an invoice in my package saying £49 which neither of had the £7 discount. I took it into a local store thinking there were actual people in there that I could talk to but they were useless and told me to call the helpline and sort it myself - so I did. Apparently I had only been charged £38 - so the discount worked - just all the information I was sent was completely wrong. When it went though my online banking, I saw that I was in fact only charged £38. It was a lot of hassel over nothing really! Have you had problems when ordering online? P.s. : Have a look at my giveaway, you can win an amazing belt! Andrew looks great in front of the camera! You are a Disco Diva, these are fabulous!! love the colour of those disco pants. I love those shoes! They're great! I've never thought about wearing disco pants in pink before but they look hot!!!! A bit 90s/90s as well which is always a good thing! Oh my i love this outfit!! Love the colour of these disco pants!